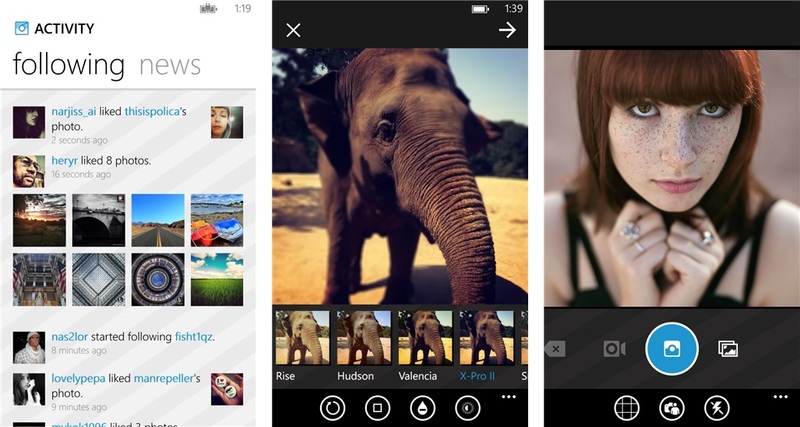 Windows Phone fans continue the frustrating wait for an official Instagram app for their devices, but there is a bright spot today after 6tag — arguably the best quality third-party app thus far, and the first to include video support for WP8 — went live, as Windows Phone Central reports. The app, which was rebranded from 6tagram this week following a crackdown on unofficial app branding, is available for free, but includes in-app purchases to remove ads and unlock video uploads, though one trial video upload is provided for free. The app uses a reversed engineered API to provide the full set of Instagram’s features — including geo-tagging, filters, social sharing, etc. While that would appear to compromise Instagram’s terms and conditions, Facebook recently gave 6tag unofficial permission to do what it does… for now at least. Does this signify that 6tag and others may be stopgaps before an official app lands? Perhaps. Or it could be that, with Hipstamatic Oggl now providing some official support, Facebook is prepared to let a few feature-rich third party apps exist.